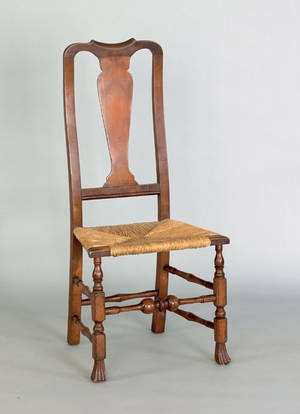 SWAROVSKI CRYSTAL FIGURES CAKE FAUN ETC. 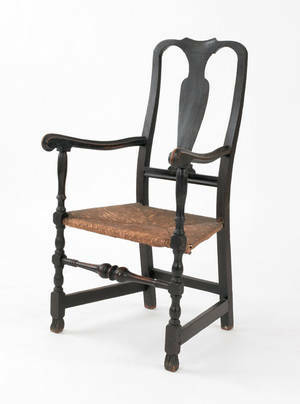 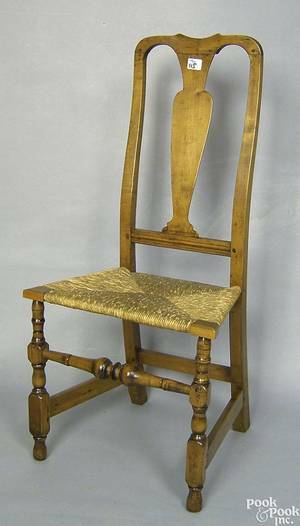 New England Queen Anne maple dining chair, mid 18th c.
New England Queen Anne maple dining chair, mid 18th c. , the yoke crest over a vasiform splat and rush seat supported by baluster turned and blocked legs terminating in Spanish feet joined by stretchers. 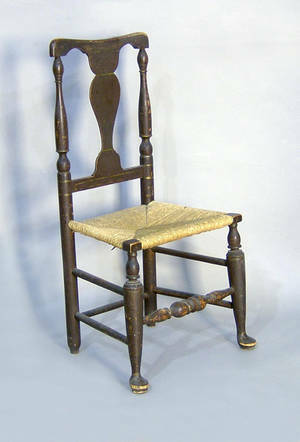 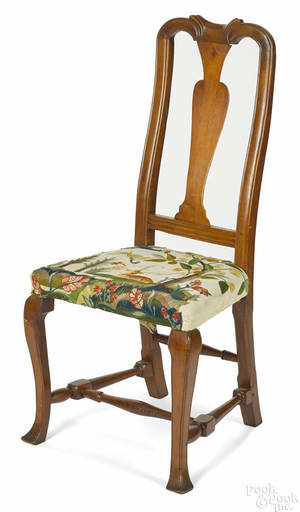 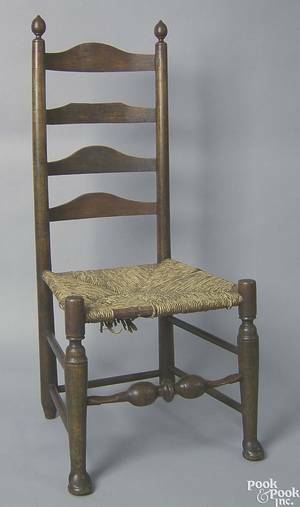 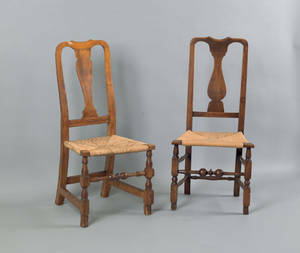 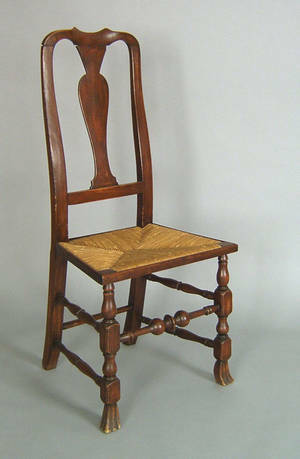 Archived auctions similar to New England Queen Anne maple dining chair, mid 18th c.
Two New England Queen Anne maple side chairs, mid 18th c.
New England Queen Anne ladderback side chair, mid 18th c.
New England Queen Anne rush seat armchair, mid 18th c.